Mohammed Jaffar was formerly CEO of Talabat.com an e-commerce business he acquired in 2010. Under his leadership the firm moved from a Kuwaiti domestic business to a G.C.C player in 2012. In the space of two years Talabat.com took the mantle as the market leader in its space and region. Shortly after in February 2015 Rocket Internet acquired Talabat. Rocket Internet is a German based e-commerce giant and widely viewed as the largest Internet platform outside of the U.S. and China. Talabat was purchased for 170m USD representing the largest Internet technology transaction to the date in the Arab world. Today Talabat and Mohammed Jaffar are now recognized as pioneers and key innovators of the e-commerce space in the G.C.C. Mohammed is vice-chairman of Danah Al Safat Foodstuff Company, a Kuwaiti listed company holding prominent position as one of the leading companies in its field. He is also a board member of Al Safat Dhiafa Company and Azzad Trading Group Company. 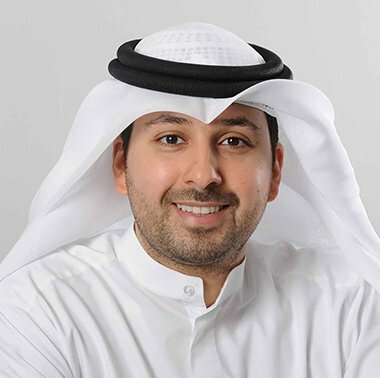 Prior to Talabat Mohammed started his entrepreneurial endeavors at the brick and mortar level, establishing his own business in the F&B industry in 2008. The business continues to flourish under his families F&B portfolio. Mohammed started his career his career in the Banking Industry and worked for four years in the Corporate Banking Division at Gulf Bank –Kuwait. Mohammed received his education in England attending boarding school and later graduating from the University of Surrey with a BSc in Economics.